Crowns are approximately 18.5cm in diameter and 0.9cm wide. Ribbon measures approximately 1.5mtrs between the crowns. 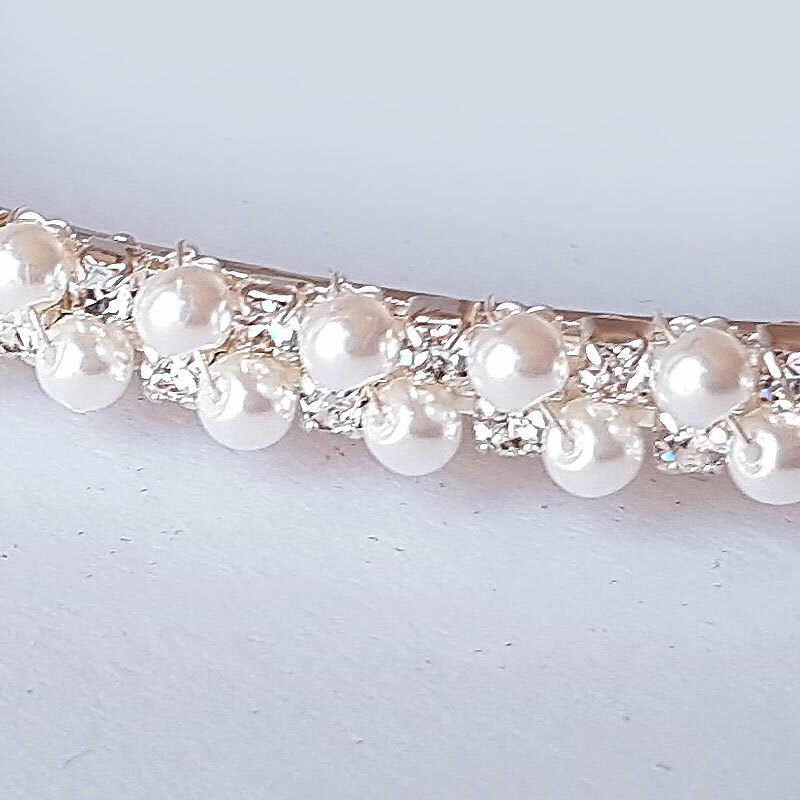 Beautifully handcrafted Stefana wedding crowns made with pearl and diamantes on a silver base. 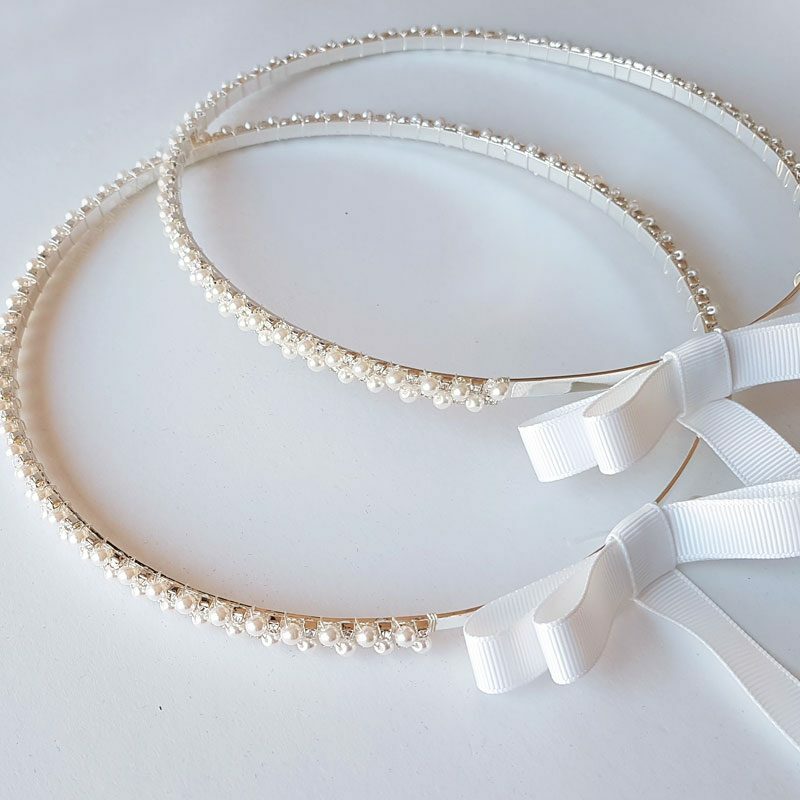 Available with satin or grosgrain ribbon in your colour choice of either white or ivory (photographed with white grosgrain ribbon). 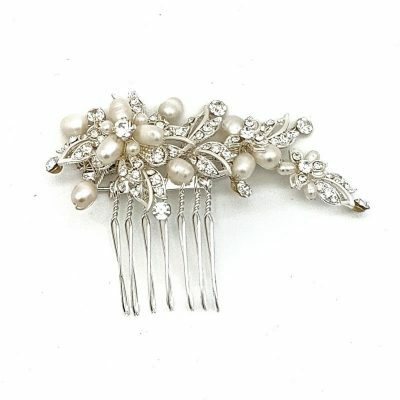 Comes as a set of 2 stefana crowns.